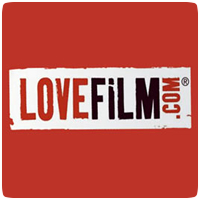 LOVEFiLM recently revealed that it will be stopping the games rental part of it’s service to focus on “providing world-class film and TV subscription services.” The news came as a huge disappointment to existing customers, including myself, having been a customer for many years purely for it’s game rental service. Needless to say, the end of game rentals means I’ll be cancelling my subscription in August. To make matters worse, the LOVEFiLM Instant service (the online streaming side of the business) hasn’t exactly been “world class” these past few days. In fact, as I write this, LOVEFiLM Instant is experiencing downtime for a second time in less than a week. There are issues with the Instant service this evening which we are working hard at fixing. Apologies – we’ll keep you updated. LOVEFiLM is owned by Amazon. but it’s services haven’t really improved since the company took over. LOVEFiLM Instant is only available on a handful of devices, including the PS3, Xbox 360 and iPad, but it’s not available on the Android. In comparison, its closest competitor, Netflix, is available on almost every device, including the PS Vita (but not is all territories). I’ve been a LOVEFiLM subscriber for many years, mainly because of it’s games package, allowing me to rent a couple of games a month instead of buying new ones. I’ve even grown to like the LOVEFiLM Instant service, though it’s selection of Films and TV is somewhat lacking. Now that the games package has been discontinued, I’ll will cancel my subscription and most likely move to two separate services: Netflix or Now TV for streaming content, and Boomerang for games – at the cost of spending slightly more money each month. Game rentals is the only sane reason to have a sub for LoveFilm – gonna cancel as well!! to spite them, why don’t people just keep the discs, since they will be stopping game rentals. i mean what will they do with all their back log of rental discs? I’ll be doing the same! It’s the only real reason I subscribed to LoveFilm. It was the best value for money over any other video game rental service in the UK. In fact the closest competitors I can find for a similar video game rental service is £14.99 and that’s obviously without a video streaming service attached such as LoveFilm Instant.